National Heroes' Day is one of the public holidays in Angola. It is celebrated on September 17 to commemorate the birthday of Agostinho Neto, a prominent leader in the Angolan War of Independence and the first President of Angola. António Agostinho Neto was born on September 17, 1922, in the family of a Methodist pastor. Having graduated school, he left for Portugal where he studied medicine. While studying, Neto became involved in political activity. In 1951, he was arrested for his separatist activism and spent several years in prison. Neto returned to Angola in 1959 and became president of the Popular Movement for the Liberation of Angola (MPLA). 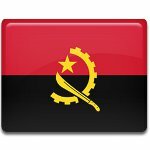 After over a decade of the struggle for independence, Angola declared its independence from Portugal in 1975. Neto became the country's first president, establishing a one-party state. He died four years later while undergoing surgery for cancer. Angola's National Heroes' Day honors Neto and all those who lost their lives in the struggle for the independence of Angola. It is marked with solemn speeches, official ceremonies, patriotic pledges, singing of the national anthem, parades and other appropriate events and activities held throughout the country.